Use this link to get 10% off your order! NOTE: Federal law allow citizens to reproduce, distribute , or exhibit portions of copyrighted material. This is called fair use and is allowed for the purpose of criticism, news reporting, teaching, and parody which doesn't infringe on copyright under 17 USC 107. 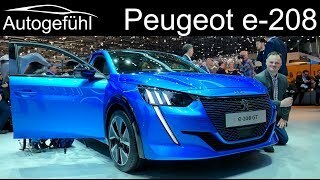 It has been reported that Peugeot will be returning to North America in 2020s and will be bringing the E-208! Hello excellent thanks for letting me know about that! I will mention it on my next show! Hi and thanks for watching the show! Yes I realized after I commented that that is the case. Thanks for pickup. Thanks John, just watched it good info. Kia Niro EV in Canada is pretty well same pricing as entry Model 3. 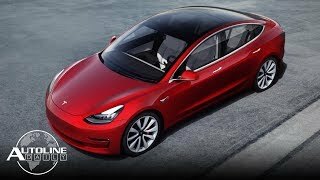 Cheapest Model 3 you can order right now is the Standard Plus, $53,700 CAD starting price. 386km range, partial premium interior. Kia Niro EV is $53,795, 383km range. Kia Soul EV (extended Range) is $51,595 CAD. However, Kias are completely different vehicles - would you compare a Toyota Rav 4 to a BMW 3 Series? Kia has totally more versatility with the size and seating, higher off the ground with larger trunk and a hatchback. Both Kias are virtually same in interior room/volume specs, just outside shape that is unique to both. Model 3 is a sedan with yes faster 0-60, but really who needs a fast 0-60 - 4 secs vs 6.5 seconds - makes no difference in real life driving. The reality is I would not compare the two on pricing but what ones needs are in a vehicle. Tesla electric motor ~ $750 dollars each --- That Texas electric motor company talking thousands of dollars ?? BS, I suspect. Hi Brandon, thanks for the info. Well that's what they are talking about. Again, misleading people about charging at home. Of our 14,378 employees, only 675 are able to charge at home. Hello Nick thanks for watching and for comment. No misleading Sir, the reality is in most places, home charging is more prevalent than not. I understand in some areas, like in Europe, it's harder to deploy home charging due to the abundance of on-street parking and lack of garages. However even with this, I know many who have managed to install L1/L2 chargers. It's not a perfect world, however for the most part it does work. Your stat is quite stunning, however does not reflect the majority. For urban centres and especially condos/flats, home charging is not required as most daily trips are shorter and the need for daily charging is not required. Of course always exceptions to this. Hence why more and more cities are adopting and building out more public charging stations for this reason. I don't mislead and I take offence to your statement that I am doing so. I'm reporting the general facts. Hello and much thanks for watching and for feedback! Good luck on your initiatives as well! Thanks for another great show Ken! It's a good reminder that many people are unfamiliar with EVs and infrastructure, with a lot of misconceptions out there, we can all play a part in education. The new motor concept sounds great, funny that the company is based in Texas where they love their oil and everything bigger! ☺️ Hopefully new components like this will become available to legacy car makers and start-ups to reduce costs and accelerate EV production over the next few years. Hi JP, I've got no intel on any CDN FCL version in the foreseeable future, but I'll keep watching them. Good point, Ken - it's interesting to see the number of solar panels used to generate power for oilfield production, it doesn't get more ironic than that! 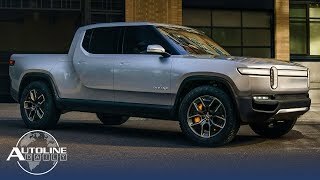 Do you think there is any chance of a Fully Charged Canadian version? It would be great to see something closer to home to generate that level of interest and excitement in renewable energy and transport. Hi James, appreciate the feedback. Texas, yes it is associated with big oil and trucks, but believe it or not it's a pretty progressive state when it comes to sustainability. Hence why the Fully Charge folks picked Austin as the USA event City. Hi Luc, appreciate your opinion and comments of course. We quite quickly need to move consumer transportation over to zero emission vehicles for many reasons. There is strong facts that Wheel to Well emissions for EVs is lower than conventional ICEVs. Many geographies including here in Ontario, have clean energy production (wind, solar, hydro, nuclear) which means no coal burning. So yes charging they battery can be from clean and sustainable sources, however each location in the world will vary so that needs to be looked at by potential buyers for their own specific area. So my head is not in the sand and many facts speak for themselves. I'm not saying EVs are perfect, however for the vast majority of modern industrialized nations, they can work and work well to reduce GHG emissions. That is what I am referring to and that is my number 1 goal in doing what I do to promote EV adoption, where it makes sense to do so. If we continue down the path of ICEV and do not change substantially to other zero emission technologies, our future on this planet is very bleak and we don't have the time to mess around debating this. Consumer transportation is just one of many areas we as a people need to look at to turn around the issues we face globally. However, this area is important and has a major impact and it''s one of the things we as individuals have control over, to adopt an EV or not. You are entitled to your opinion Luc and so am I. I'm not going to debate this further from within this forum but wanted you to be clear on my thoughts and motivations. Thanks. Hello Luc, thanks for watching and appreciate comments. I don't agree with you at all as the number 1 goal is zero emissions. It would be nice to have a charging station that had washing/vacuum bays so you can clean up the car while waiting for the charging. Hi Richard, thanks for watching and yes I am sure some may end up with these kind of facilities. Just came upon this show and love it! Really like the attitude of: "the more EV competition, the better," as I own a Volt and love it! Look forward to future episodes. Hello and much thanks for watching and hope you are subscribing. My show is more open on this industry than most others. Oh dear... Ford again demonstrates how backward it is in the EV sphere. The idea of hybrids is already redundant, so by the time they launch their hybrids (if they ever do, that is), the world of EV will have again passed them by. By 2022-23, there will be no market for hybrids - new or used - so if anyone is stupid enough to buy one, appreciate that in 4 to 5 years' time, its value will be little more than scrap, and you may even have to pay someone to come take it off you to a metal recycling centre. Here in the UK, the degree of ignorance in EV technology is as you say, very high, though there is a sort of "curiosity" evident in subjects like James Dyson's efforts to enter the EV sphere. Most people however, regard what Dyson is doing as a bit "crack-pot", and there is a lot of teasing on social media (and in pub talk) about people driving around on vacuum cleaners. In many respects, the media is largely to blame. Popular newspapers (such as The Daily Mail, which is an awful publication) have been very dismissive of EV's - probably because these newspapers derive significant ad revenue from the traditional car industry. Car dealerships too do not showcase their EV ranges very prominently - as is the case in the USA - because EV's are their death-knell. But amongst people in-the-know, the big wait is for Tesla Model-3. 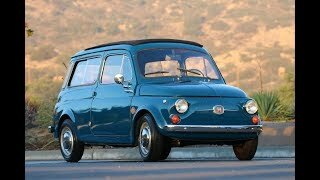 I know several people who are keen to buy an EV, but who also appreciate that EV's from the legacy car-makers are "just cars" like others, except that they have an electric motor instead of an ICE. Savvy people appreciate that Tesla is far, far ahead - not only in the technology of EV, but more importantly in how the overall future of transportation is going to pan out. Our discussions centre around this, and none of the people I know are all that keen to buy an EV that is - to all intents and purposes - functionally redundant the minute you drive it off the showroom floor. By the time RHD Model-3's reach the UK, we know they will be kitted out to the latest specs, with substantial "future-proofing". 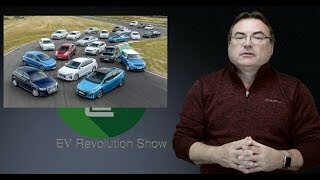 There is absolutely no point then, buying a Nissan Leaf, Peugeot e208, or even something more exotic like Jag's I-Pace, because all these cars are not only technologically retarded, but their manufacturers do not seem to factor in what is now functionally essential - upgradeability in real-time. Criteria such as overall aesthetics, build-standard and cosmetics are increasingly unimportant. Again... Tesla owners' conversations are evidence of this. They now talk far more excitedly about software features and OTA enhancements than they do about paint colour and panel gaps. It is therefore in the interests of the traditional ICE makers to "suppress" knowledge and understanding of EV's - not only because it is unprofitable for them to sell these cars, but also because if the UK car-buying public starts to research EV's properly, then it's a no-brainer as to which one you should buy - and that is pretty obvious to anyone with an IQ higher than 70. Thanks your comments and thoughts are always welcomed and really appreciate the feedback and your viewership! Yes this marketplace is really taking off. +EV Revolution Yes... we are all speculating. It can pan out in so many ways, but what I find encouraging is the amount of comment on the internet about EV and the rapid growth of vloggers. Much of it is junk, but there are a few channels (like yours) that invite intelligent debate. Good to see your stuff, and put in my ha'penny's worth! Well, it's been a good debate here TTM and I am always open to opinions and comments. I really don't agree with some of it so let's just wait and see what happens. It truly is a Revolutionary time! +EV Revolution While the F-150 series sold just over 1 million globally, around 850,000 were in the USA (85%). The entire rest-of-world took the remaining 260,000 or so, which (if one excludes the USA), does not even make the top-50 list. So while ""global" sales can theoretically be claimed, this car is really only popular in the US. In Europe, pickups are used almost exclusively for commercial purposes, by small businesses like one-man-band plumbers, builders, electricians. Most Europeans would sooner walk to their destinations, than be seen in a pickup - irrespective of the brand. They are totally "un-cool" in Europe. It's obvious that Tesla will not be able to satisfy demand - but that is a separate discussion... As of now, NO traditional automaker is making a profitable EV, and as time passes, is increasingly unlikely to do so. The more desperately they try to "fold" EV manufacture into their existing business structures, the more they will retrogress. Sandy Munro (who knows a thing or two) tells us this... so it is not me just speculating. So what if demand is high? Making a sale is not the same as making a profit, and automakers (like ALL businesses) are there to make profits - - - UNPROFITABLE sales just acellerate your demise. Demand is irrelevant in this scenario. China is fully capable of developing and making fully autonomous EV's, and does not need to "steal" western IP to do so. Having Tesla there is savvy thinking - both on the part of Musk, and the Chinese. But the Chinese certainly don't "need" Tesla to help them technologically. I don't envy the traditional automakers right now. They are between a rock and a hard place. Their lifeblood (ICE) is essential to funding an EV future, but should this EV future happen too rapidly, then their milking-cows will evaporate, and if they stall for too long, they will fall even further behind and be even more unprofitable. Just who will survive will be interesting to watch, but I am certain that quite a few of the iconic car marques we have known and loved for decades, will not be around in 10 years from now. The Tag Market hi yes and no. Tesla will certainly grow and China will be a big part. The others will get onboard and most are already taking steps on major turns towards electrification. If you look at many of my past shows you will see this. #1 vehicle sold globally in 2018 was the Ford F-150 so your analysis about pickups is completely off. Tesla will not be able nor startups to satisfy the demand coming. Check out Hoovies Garage, Toyota Prius on youtube for DIY battery replacement. Prius owners may find this useful. Hi thanks Raphael for watching and for the info. I doubt 10% more range is possible in real world operation by the use of a special electric motor. Before OEM's spent money on an exotic electric motor concept, EV manufacturers should optimize their aerodynamic designs and find more efficient, modern design languages. 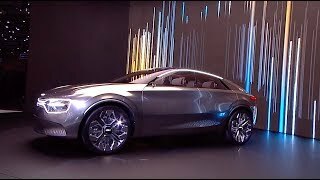 It's totally rediculous when car manufacturers sacrifice 15% on the drag coefficient compared with Tesla only to have these ridiculous fake-grills like the Jaguar I-Pace or the Audi E-Tron. 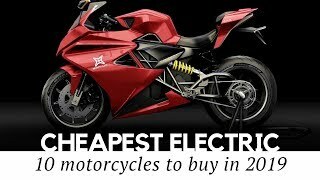 When you waste big on things which cost nothing, why bother with an expensive electric motor which will improve the range only by a tiny fraction compared to aerodynamics? Look, I'm not going to argue with you on this as yes I understand aerodynamics has a direct impact on EV efficiency. I'm simply stating that many people DON'T CARE, so you can throw comparison tests after comparison tests out there and many don't give a darn. So, why try to convince them and just build an EV that keeps with an existing design language that SELLS and make it an EV. You think the #1 vehicle in the world is the most aerodynamic - the Ford F150? Those buyers don't care about .028 Co's. +EV Revolution Just look at the numbers! When a decent standard EV drivetrain already has an efficiency of 90%, nearly 100% efficiency would be required for an improvement in range of 10%. This is impossible to achieve. 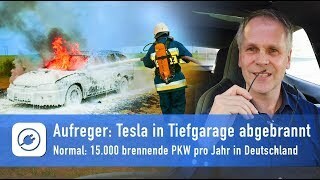 As the simple comparison test (Model X, I-Pace, E-Tron) of Tesla Bjørn showed, drag losses are key when it comes to range at highway speed. There is no fancy technology which can compensate range losses created by stupid design artists who simply waste aerodynamic efficiency to make EV's look more aggressive. Hello D GE, thanks for watching and for comments. I think the claims are possible for the motor. With regards to design, sure efficiency is important, however people who buy Cadillac Escalades or GM Denali's don't do so for fuel economy. Same is true for BEVs, people want choice and brands like Audi and Jaguar provide them with an electric choice that does not compromise their defining styles and design. Automakers need to educate EV buyers. Fortunately Toyota now sells a 'self-charging hybrid'. It's a (partly) electric vehicle that you never have to plug in. Because it chargers itself, by magic. Thanks Toyota. This will sure help clearing up misconceptions. "Wait, I need to plug in this Nissan? But Toyota has one that chargers automatically. That's better. I want that one." Hello and thanks for watching. I speak to many people, not just older ones and get very similar responses so no we can't ignore that research. Hope that e-308 title isn't click bait 😆, 20 hours later still not changed to 208! Hi MJ, thanks for the reminder! It's been corrected. I don't do clickbait. Great channel. Just wondering...since you're Canadian, why are you using miles and other non metric units? Canada switched to the International system of units a long time ago. Only US and two other third world countries are left with the international miles system. Most EV drivers in the US can make the km to mile conversion in ours heads so go ahead and use km lol. Hello Arjen, I generally use both metrics but sometimes the articles I reference don't use both numbering systems and I forget to put in the show. I figure it takes 10 seconds to google the number so not a big deal. I was born and raised in Canada so yes I know about the Metric system, I was around before we went there. LOL at US and two *other* third world countries. I know you’re not as dismissive of PHEVs as I am Ken. I wish I could support them but I just can’t get behind Ford bringing a 5m long and 2m wide SUV to Europe (that’s not even sold here currently because it’s so big). Especially when it’s a PHEV. Ford are making some very poor decisions right now. I just don’t think we have time for PHEVs in general. We need to skip hybrids and PHEVs and go straight to BEVs at this point. 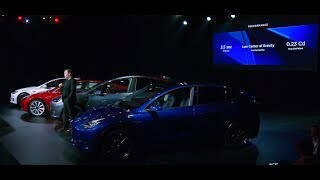 EV versions of the Fiesta and Focus are the obvious ones to do. No sign of them. It looks like they are purposely sending their SUV hybrids where they won't sell. Well, if they want to waste their money and time, it's on them to do so. Hi Chris, I certainly feel the "need for speed" for BEV adoption over hybrids/PHEVs. I would love nothing better. 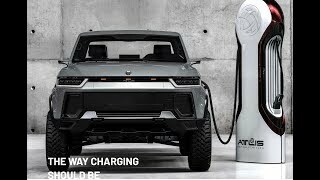 However I am a realist and simply put millions of people are just not comfortable with all-battery vehicles and as such we need to address that market with something, albeit limited offerings. Hey if millions of vehicles were running their first 30 or 40 miles in zero-emissions mode daily, I'd be fine with that and I would hope that would make some positive impact to CC. However you are correct in the expedience of change that needs to occur. For Europe, yes I too was somewhat surprised at shipping off a full-sized SUV to there, however they do sell pickup and other vehicles just as large so Ford does see a market, albeit maybe limited, there. The Escape is more to Europe's likings I am sure. Hopefully these will sell well and provide Ford with the kick-in-the-pants they need to really jump into full electrification. FORD ? Fix Or Repair Daily ! Yup, love them or hate them, they are the number 3 vendor in global sales and have the #1 selling vehicle globally - the F150. So I have to hope the get into the EV game. Very informative. It’s e 208 but headline mentions e 308. Oh and I fixed the headline! Hello Paul, thanks for watching and for commenting! Thanks for another great show. 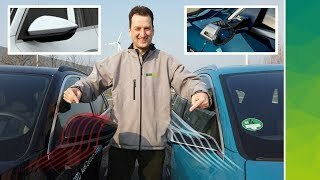 One thing I find in the UK is against EVs is when you go to some dealers to get information on the models and see a model, you are quite often told they do not have one and go online to see them, or being told to test drive the petrol version ("Its all the same"), which to me is like saying a Donkey is the same as a Race Horse. 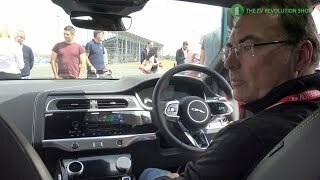 The only company that seams to really promote there EVs in the UK , is Jaguar They invited me to a test day at a British Motor Racing Circuit and let me (a man off the street, not a blogger or a newspaper reporter) drive the I-Pace not only on open British roads, but on the race track as well. Why cant other manufacturers do similar test days ! 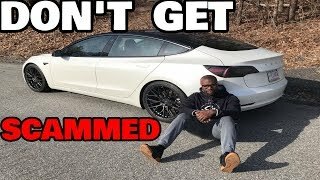 Sorry for the Rant but I get frustrated with some Car Makers. Hello Michael, thanks for watching and I certainly share your frustrations on this. The vast majority of Dealers are not motivated to sell EVs and it is like pulling teeth sometimes. Many don't stock a demo unit to drive and your donkey/racehorse analogy is so bang on! You've got to drive them to really experience what and EV is like, especially a BEV. Yes I've notice Jags here in Ontario too and I'm not sure if they offer a track experience for walk ups, but certainly test drives are happening. It will get better as the pendulum swings the other way over the next several years. Hope you may be going out to the FCL conference this June, I'll be there so if you do, make sure to say hi! Also btw, in Milton Keynes there is a the EV Discovery Centre, which should have several models one can try out. I know it may be a long drive for some but a nice way to spend a Saturday or Sunday when it fits! BEVs do not have a reverse gear. Electric motors are reversed by reversing the stators magnetic field rotation. I too served in the Navy albeit Canadian, from '82-'85, HMCS MacKenzie DDE out in Esquimalt BC. Was a great experience and I was a Radar Plotter (operator - we only did minor maintenance to the units and the mast gear) working in the CIC. Did over 25,000 miles at see in that time and visited most spots around the Pacific Rim. Thanks for your service Harold! +EV Revolution I am a retired electronics technician with 20 years of US Navy training and experience. I worked on radars and communications equipment so I had to learn a lot about electric motors, servo motors, syncro motors, etc. Hi Harold, yes thanks for reminding me of that! I forgot and thanks for watching! I wish ‘Gridserve’ all the best. But with the Big B just about to happen. I can’t see more than a few ever being actually built and none outside Greater London. I hope the big B does happen then we can be independent like Canada. Hello, we will have to see but yes that is a major concern. Thanks for watching! It might be really amusing to see Ken on HyperChange. Or maybe even Joe Rogan! Thanks Lynne, appreciate you watching and for feedback! Do most BEV's even have 10% of losses to cut into for a more efficient motor? 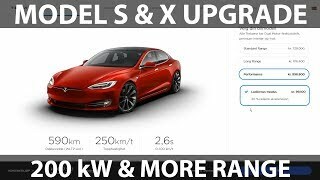 And isn't the Model 3 motor which is marget leader just $800 in cost? Smaller motors are always useful though, they free up cargo space and save a bit on raw materials and processing potentially. Hi, I'm not sure about those stats and the Model 3 motor costs, but still good to see more development in this industry. Most people in Europe and Asia cannot charge at home. This is why ultrafast charging will be the limiter of BEV adoption for people who don't get to drive €50k cars to park in front of their €400K homes. Hi I sure hope so, there is a workplace push in many geographies! If evs goes mainstream charging point will be found at work place, and utilities will install charge port in every public parking as already been done in switzerland. 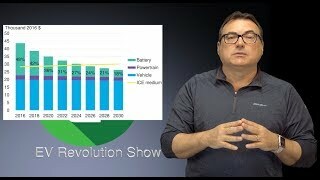 True but I still think adoption in these markets will continue to grow inspire of UF charging. Thanks for watching! For me reasonable cost and choice is the biggest barrier in the UK (we have put solar and battery in at home in preparation - we do get sun on the odd days!) I have a deposit on a Uniti One and waiting to see how it works out if it'll suit my commute etc, hope to see more of whats available at FCL. Hi Mark, congrats on solar/battery those are awesome! 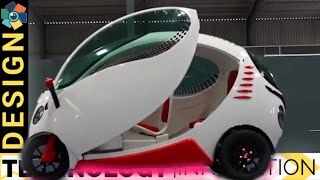 I really like the Uniti and hope to see it at FCL. I'll be there so please make sure to say hi to me at some point! I think Gridserve is Saudi backed? Hi Roger, not sure but would not surprise me. Thanks for another great, interesting and very informative show!! I agree with you about emphasizing the positive about EVs as opposed to pitting companies/brands against each other, which creates and perpetuates more negativity. We should be happy about ALL efforts at electrification shown by car manufacturers. Thank Annamarie for watching and for your comments/feedback! Another great show Ken. Really interesting to see the gridserve concept. We will need a lot more of this kind of service, because a high percentage of homes have no off street parking for overnight charging. So those EV owners need somewhere to go to top up, with an experience as close as possible to that of an ICE filling station. 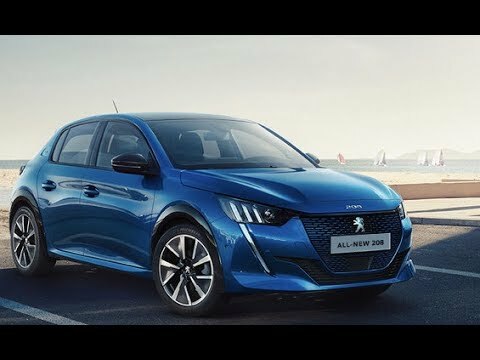 The Peugeot e-208 looks really good and, if they price it right, could be a game changer. Hi @Tom, thanks for watching and for commenting. Congrats on being a bit more of a "pioneer" in taking the EV plunge with your 24kWh Leaf! Thanks @Chris, appreciate your feedback as always! Yes it's certainly needed and that would help with EV adoption for sure. I too like the Peugeot. An E 3008 would get my interest. Have had a 24kwh Leaf for 3 years now and would like a bit more range and style. Special Episode - From the UK - Fully Charged LIVE Report! 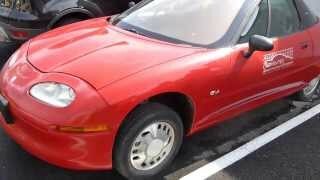 The General Motors EV-1: A Rare Survivor, in Ohio!